New program for sale in leasehold over 24 years, possibility of extending the lease terms already negotiated at the price of 450 000 000 IDR for 15 additional years (+/- 27 200 EUR). Delivery scheduled 1st quarter 2019 for this beautiful contemporary villa of 190 m2 with benefits and refined decoration. Products made by a trusted promoter, author of many high quality achievements in Bali, possibility to visit similar property while waiting for delivery. 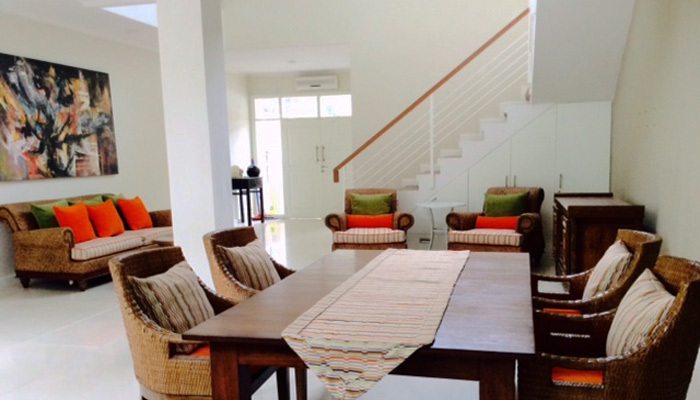 The villa is ideally located in the quiet and popular area of Bidadari, 5 minutes from the center of Seminyak and the famous restaurants, bars and shops. Single-storey house with two bedrooms own en suites bathrooms, the kitchen and the living room are opening on the garden and his beautiful swimming pool with a jacuzzi. Rare product on the market, this property would be ideal to benefit from high rental yields.